Just in case you wanted to view them on your phone. The Xbox app for smartphones and tablets will now let you view screenshots, as well as letting you share, save, and comment on them. The new updates will put all the screenshots that you take on the console in a new Capture hub in your activity feed on the app, where you can interact with the screenshots. The update is already available for the SmartGlass app on Windows 10 devices; a beta version of the update is already available for iOS devices, with a full rollout planned soon, while Android will be getting the functionality soon as well. 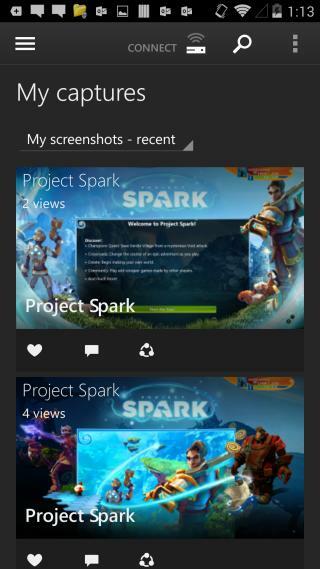 This makes the Xbox app even more full featured than it already was, allowing for more meaningful second screen interactions, and continuing the app’s lead over Sony’s similar PlayStation app for iOS and Android devices, which currently does not let you interact with screenshots beyond viewing and saving them. Xbox SmartGlass is available on iOS, Android, and Windows devices.